Recently, I have become a fan of “old-school” drinks such as an Old Fashioned and Manhattan because no one wants to be the guy at the bar that orders a drink with 15 ingredients in it. The difference between an Old-Fashioned and a Manhattan is the cherry itself; an Old Fashioned requires a muddled maraschino cherry and sometimes is garnished with one, where a Manhattan is just garnished with a maraschino cherry. So I thought to myself since both of these drinks contain bourbon, why not use cherries macerated in bourbon instead of maraschino cherries? Not to mention if you look up how maraschino cherries are made it’s a little gross. 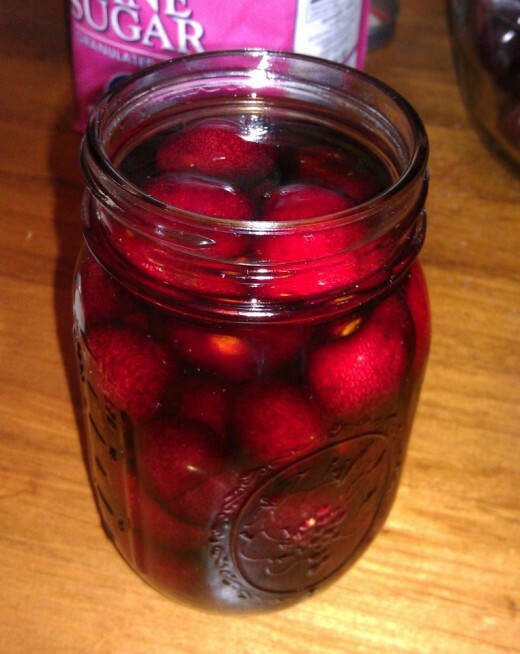 According to the FDA, “the term maraschino cherry is regarded as the common or usual name of an article consisting of cherries which have been dyed red, impregnated with sugar and packed in a sugar syrup flavored with oil of bitter almonds or a similar flavor.” Next time, skip the maraschinos and try this recipe. To make these bourbon soaked cherries, first fill up a mason jar with the cherries. Then create a simple syrup with the bourbon and sugar. 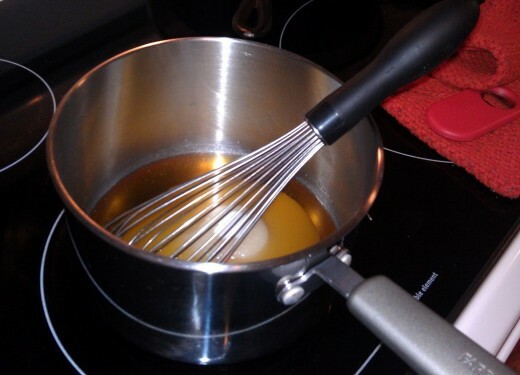 Simply place the bourbon and sugar into a saucepan. Warm up the bourbon and whisk until all the sugar has been combined into the bourbon. This is also the step where you can incorporate other flavors as well. Possibly a vanilla bean pod or a cinnamon stick, maybe even some orange peel rinds; these would all be great complements to the cherry flavor. 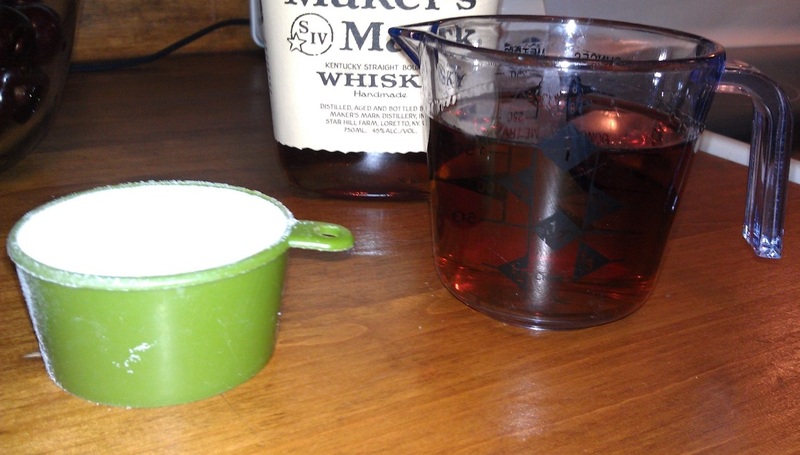 Be careful to not heat up the bourbon too quickly or let it boil. The alcohol vapors can be set a blazed, so avoid open flames. 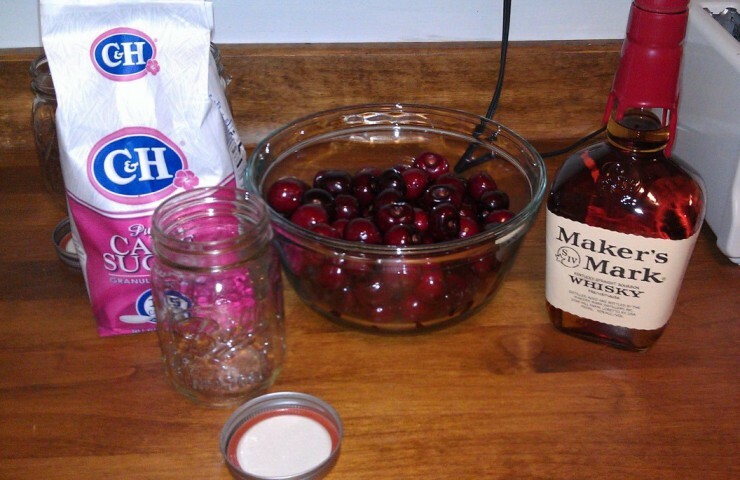 Next, pour the simple syrup of bourbon and sugar into the mason jar filled with cherries. Seal it with the cap and throw it (not literally) into the refrigerator! The final step is to wait. Let the cherries marinate for a week or up to a month. Either way they are delicious and perfectly accompany any Old Fashioned or Manhattan. Fill up a mason jar with the cherries. Create simple syrup by placing the bourbon and sugar into a saucepan. Warm up the bourbon and whisk until all the sugar has been combined into the bourbon. Caution: Do not boil the bourbon or heat it up too quickly. Feel free to add in a vanilla bean, a cinnamon stick, or some orange peel rinds for additional flavoring. 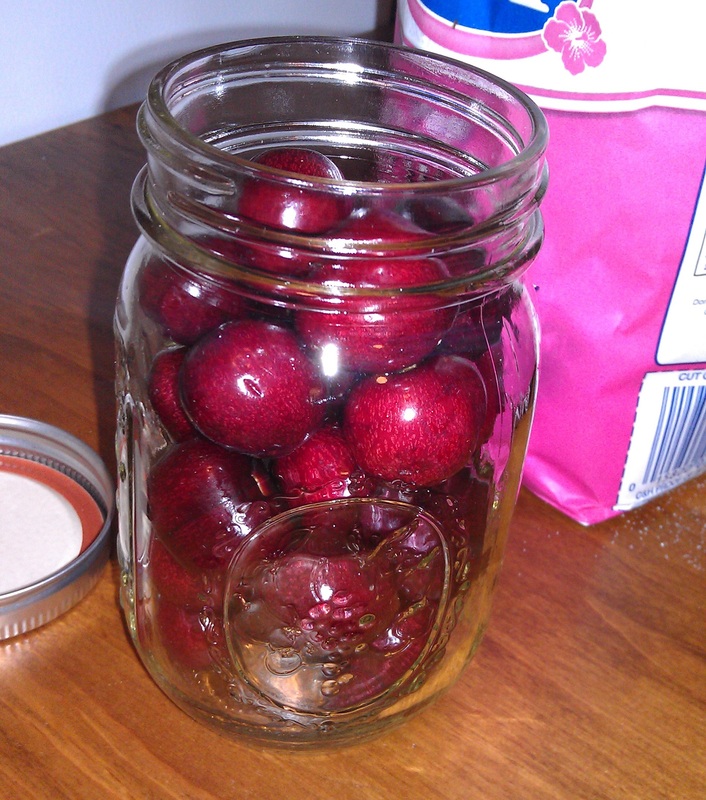 Pour the simple syrup into the mason jar. Seal it with the cap and throw it into the refrigerator. 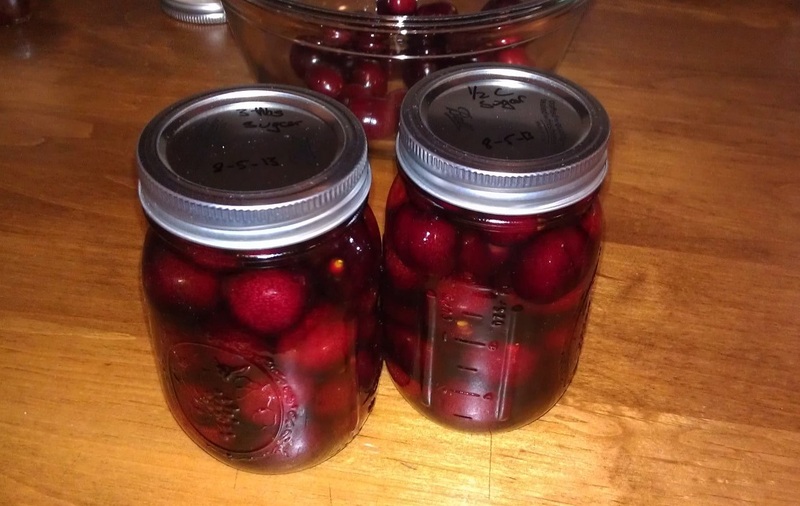 Let the cherries marinate for a week or up to a month before enjoying.